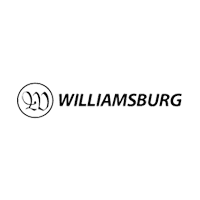 Whether you need Chrysler Warranty Repair for your Town & Country, Major Service for your Dodge Ram Truck or just an Oil Change for your Jeep Liberty, we guarantee you’ll be more than satisfied with Williamsburg CDJR. We are your Hampton Roads New Car Dealer and the authorized Chrysler Jeep Dodge repair specialists in Williamsburg, VA. Schedule your Chrysler Dodge and Jeep service online. When looking for factory-authorized Chrysler Jeep Dodge repair in the Peninsula, you’ll find we are conveniently located to Virginia Beach and James City County. Would you like the convenience of scheduling your Chrysler, Dodge or Jeep repair online? You can schedule Chrysler, Dodge and Jeep service and auto repairs online with our convenient online auto repair scheduling form.